Ready to discover a buried treasure? 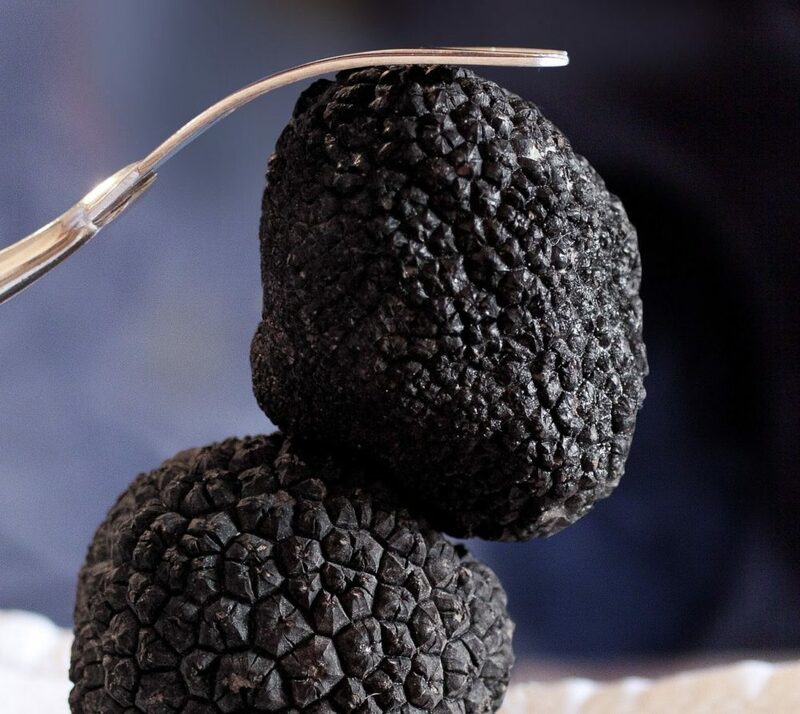 Known as the ‘diamond of the kitchen’, the truffle is a rare delicacy. Not to be confused with the chocolate treats that bare the same name, true truffles are hard to find – and even harder to grow. So if you’re brimming with curiosity, here’s your chance to explore this culinary delight. Often described as ‘gourmet mushrooms’, truffles are underground fungi that feed off a tree’s roots. Truffles have been mentioned throughout history for thousands of years. Although they didn’t rise to popularity until the Middle Ages, many sources date them back to ancient times. Others even claim they were around long before humans! From Italy, Spain and France to Asia and the Middle East, truffles can be found in all corners of the world. Common types of truffles include the Piedmont Truffle, Himalayan Truffle and the Terfez Truffle. But don’t worry, you won’t have to hop on a plane to experience them for yourself. That’s because the Périgord Truffle (a popular black truffle) is produced right here in Victoria, Australia… by Yarra Valley Truffles. As the state’s largest producer, Yarra Valley Truffles holds the record for growing the biggest Périgord Truffle in the world – weighing a whopping 1.5kg! The truffle is an acquired taste. Although there isn’t one agreed upon flavour, most people describe it as slightly garlic-y with a deep, musky aroma and a hint of mushroom. On top of its complex flavours, truffles carry microorganisms which create their unique smell. So by putting them in a fridge, you can slow these organisms down… and reduce their odour! Truffles can take decades to grow. They’re also mostly found by dogs (and pigs) that are specially trained to sniff them out. With all the time and money invested into growing, hunting, harvesting and assessing these gems, it’s no wonder they’re expensive… sometimes worth more than gold! In fact, truffles are so valuable that they’re often smuggled across borders – at the risk of hefty fines! Truffles are most commonly used in the kitchen for their unique aromas and flavours. But did you know they’re also really good for you? That’s because they’re high in protein, vitamins and minerals, low in fat and cholesterol-free. Truffles are also a secret ingredient in skin care products, especially eye creams. Many luxury beauty brands claim they reduce wrinkles and make the skin look brighter, younger and plumper. They’re also known to be great aphrodisiacs (wink wink)! You can, at our Truffle Degustation. After our first session sold out in the blink of an eye, we decided to host another. That’s because we didn’t want anyone to miss out on their chance to try this culinary gem. So don’t let this opportunity pass by again. Book a seat at our second session on Friday 3 August, 6.30pm! By combining the truffle with seasonal favourites, fresh local seafood, native Australian produce and crisp Pizzini wines, you’ll remember our dinner long after it’s over. Bookings are essential. To save your place at our decadent degustation, email us at bistro@mailexchangehotel.com.au today.